We thought the idea of going to Hawaii for our honeymoon was cliche. Italy and New Zealand were two more exciting destinations. But after the stress of planning a wedding, a serene and restful tropical paradise really seemed appealing. After perusing Traveler's Joy, we made up our minds. By reading the real member stories and tips, it really helped us envision our own amazing trip. Plus, seeing the other registries throughout the site also inspired us to start planning. Maui seemed like the perfect destination after all. With the help of a travel agent, we settled on the Westin Resort & Spa in Kaanapali. Then came the fun part – creating the registry. We had a blast making our homepage and writing up little blurbs about all the adventures we were really looking forward to experiencing. But the best part was getting everything we asked for! It turned out that the honeymoon registry was so popular that we actually ran out of gifts. We ended up adding more items as we got closer to the wedding, which just allowed us to find more fun activities to do while on Maui. 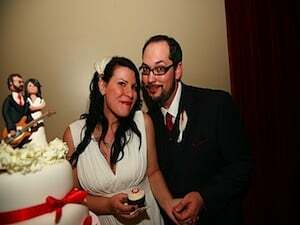 We departed Los Angeles on January 11, 2010, just two days after the wedding and planned for an eight-day trip to Maui. Thanks to our Traveler's Joy registry, we were able to upgrade to first class, too. It was definitely the way to start a honeymoon. The Westin was beautiful but very “resort-like”, which isn’t normally our style. But for our honeymoon, we took advantage of the pampering. 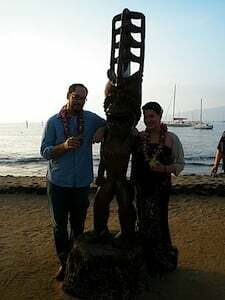 We registered for things at varying prices, so we enjoyed everything from poolside cocktails to a luau, to a jeep rental, and to spa treatments thanks to our friends and family. One of our favorite adventures was the zip lining. The course was nestled in the woods on the way to one of the island’s dormant volcanoes. We also really enjoyed driving the Road to Hana. It was an amazing experience to be able to pull over on a whim and swim beneath a secluded waterfall. And we can’t forget the surf lessons, although neither one of us will be buying our own boards any time soon. Altogether, we spent about $3,500 and still got to see pretty much the entire island. 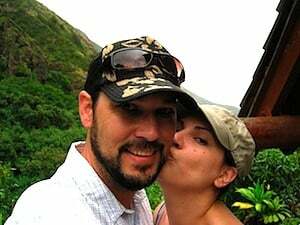 Overall, Maui is a terrific honeymoon destination. You can really customize your trip to fit your personality, whether it’s spending the whole day by the pool or spending your days exploring the beautiful island. Or better yet, do a little bit of both like we did and have the time of your lives.